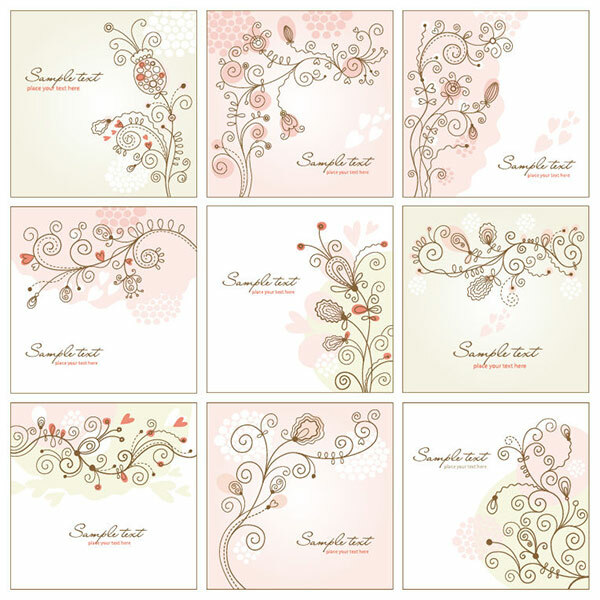 This set of 9 shabby chic floral vector art design elements, with a Romantic era flair, have backgrounds with pastel muted tones of pink and olive, ala shabby chic colors. They are from webdesignhot and contain plenty of pleasing floral swirls and ornaments to decorate your own text area. Might be nice to use for a hair salon / spa. Oh! How sweet! These designs remind me a little of Zentangle art. Very nice! Thank you!